When asked whether Pravin Nishad, MP, will also quit Samajwadi Party, he said, "I don't know about it." In a jolt to the SP-BSP-RLD 'Mahagathbandhan' in Uttar Pradesh, the Nishad Party on Friday parted ways with the fledgling anti-BJP alliance and said it could "look for other options". "The Nishad Party is no more in alliance with the Samajwadi Party," Nikky Nishad alias Riteash Nishad, media in-charge, Nishad Party, told PTI in Gorakhpur. "There was conflict between the two parties on Maharajganj seat as Nishad Party wanted to contest with its own party symbol where as Samajwadi Party was not ready for it," he added. The party workers were not willing to contest on the SP symbol and many of them began quitting, he said. "So, our national president Sanjay Nishad ji went to Lucknow and on late Thursday it was confirmed that the Nishad Party is no more a part of the alliance," he added. The Nishad Party is headed by Sanjay Nishad, the father of Pravin Nishad who had won the Gorakhpur parliamentary seat on an SP ticket in the 2018 by-polls. The win had been remarkable, as Gorakhpur was considered a bastion of UP CM Yogi Adityanath, who had represented the parliamentary constituency several times before. 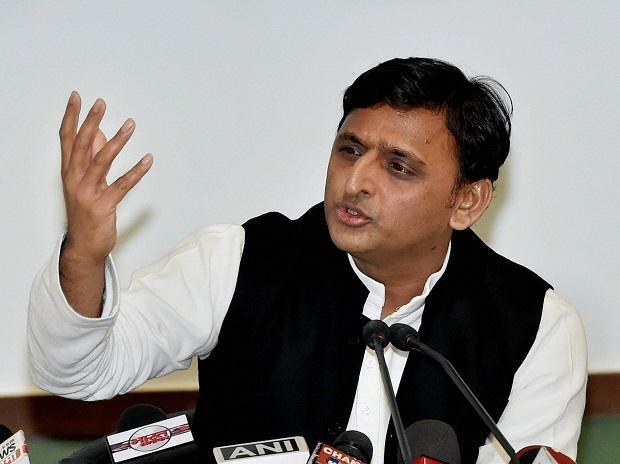 A Nishad Party insider said that though SP chief Akhilesh Yadav had said he will make announcement on seats for the party, "They did not put our name on poster/letter or anything. Our party workers, authorities, core committee were upset." "So, the Nishad Party has taken a decision today that we are not with the 'gathbandhan', we are free, can fight elections independently and can look for other options as well. The party is free now," he said. When contacted, SP national spokesman Rajendra Chowdhury told PTI that he has no information of any such decision of the Nishad Party. It was just three days back that the Nishad (Nirbal Indian Shoshit Hamara Aam Dal) Party in a press conference in Lucknow on Tuesday had announced that it will be joining the grand opposition alliance in the state. The day the Nishad Party announced its decision to join the alliance, Sanjay Nishad had said at a press conference that, Our constitution, youth and farmers' futures are in grave danger. People voted for a'jumlebaz' party cause of their false promises. Modi and Yogi promised many things forNishad community but nothing was done. The Nishad community will now give full support to the SP-BSP alliance in all the state. The Nishad Party, sources said, is in talks with the Bharatiya Janata Party (BJP) for some seats including Gorakhpur.